How unfortunate that you were charged for their mistake. When is Truman's next follow-up visit for the injury and the meds? Did the doctor give you any timeline regarding how long it might take for Truman to completely heal? What a wide range of emotions you must have been experiencing that day! You shouldn't have to pay for their mess up! All the test to make sure no damage was done from overmedication should have been on them. I hope the little guy gets better soon. Poor thing! I agree, the mixup was theirs so they should have paid out of their own pocket! Any conspiracy theorist would say they did it on purpose to get more money out of you! However, I am glad to hear Truman is improving after this little hiccup. OMG! I can't even believe that this mistake was made, and by an Avian vet none the less! All that was done to find out what impact the medication had on his little system should have been at no expense to you. I am glad that it was not a negative outcome, but the charges should have definitely been waived along with a huge apology. All the extra added stress on him (and you) must have been horrible. I am so sorry that little Truman has had so much to deal with in his young life. 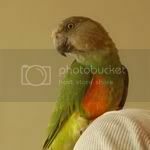 There are several Avian vets here in the Phoenix metro area, and I have been to couple. One I believe is overpriced, and about a twenty minute drive. The other is wonderful, and is only a ten minute commute. 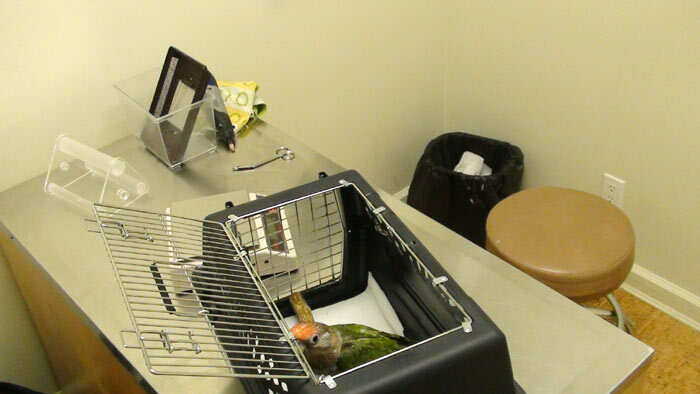 And he is actually the vet for the Oasis Parrot Sanctuary in Tucson. I trust him with all my birds, but if for some reason he isn't available, then I can go to the other guy as a back-up. 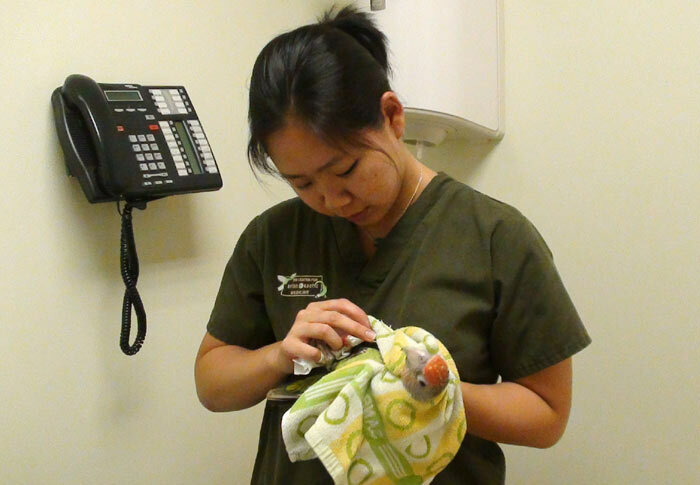 Maybe you can find another Avian Vet in your area if you don't feel that you are being treated correctly. It's always nice to have a back-up. I hope this won't cause any type of setback for Truman. Thanks again for keeping us all posted on the process that you are going through with Truman's recovery. I wish you only the best. Things have to get better! Unfortunately, vets are still humans. And humans mess up sometimes. But they shouldnt charge you for cleaning up their mistakes. I can understand charging you for the bloodwork, but not for the extra medication. Or at least split the (financial) damage with you. They should be happy you were willing to go through these costs in the first place. A happy customer is a customer coming back, right? Overall, considering the bruise where the injection was, this just sounds a bit unresponsible. Anyway, I'm happy no permanent damage was done to Truman and I hope he will be up to his usual mishief soo enough. Michael, I can't believe the ordeal that you and Truman went through yesterday. In my eyes, the overdosage by the vet in inexcusable. I have high expectations for people like doctors and vets. They have human and animal lives in their hands. In this case, the vet would have had dosing information available to him to confirm he was giving the correct dosage. They don't have to try to go off memory for things everyday. They have lots of documentation available to them to confirm information before recommending treatment and drug dosage. I'm glad to hear that Truman improved once you got him home. Its a good thing that you noticed his decline over the weekend and addressed it so quickly. Considering you were so impressed with their level of care, its disappointing that you've had an incident like this with them. I think they did draw blood from his neck! They didn't even ask me or let me know how they would do it. Then they injected fluids in his leg and he was bleeding after the procedure. As for "being human," the issue has more to do with being charged for fixing the mix up. Kind of late to switch vets mid-process. I'm sure the new one would want to do all tests and stuff over again. I was originally planning to use them for everything from now on and bring Kili in just for a check up to get her established there as well but I don't know any more. Right now the main thing is to get Truman cured but financially it's really tough. On a good note I got 8 grams of oatmeal into Truman just now. He wasn't eating too good this morning. His weight wasn't critically low but still on the very low side. Last time I offered oatmeal to Truman he rejected it but I decided to try again. When I offer it to him on a spoon he doesn't eat it (unlike Kili who just goes crazy for this stuff). But when I use my finger to shove it from the spoon and into his beak he swallows it right down and looks happy. He had maybe 5 to 10 mouth fulls but then wouldn't take any more so eventually I gave up. I didn't realize that such a tiny amount brought his weight up from a pretty low 312g to 320g which is a fairly normal weight for him. I also let him eat an almond and an entire walnut earlier. I understand this isn't the best stuff for him to be eating right now but considering how much weight he lost in recent days I think it's good to get him some calories. Then when he feels better he can eat his pellets on his own. Unfortunately mistakes do happen. I'm just glad that there weren't any serious side effects from him being over medicated! And I agree that they shouldn't have charged you for the extra testing that was only necessary because of their mistake. It's great you were able to get some calorie rich food into him today. Hopefully he starts eating better on his own soon. Do you not have any recourse? It seems to me that the vet should be legally accountable for their own mistake especially since you can prove it was their mistake. It's ridiculous that they charged you to fix their mistake. Actually I don't think I have the proof any more. They asked me to bring in the old medication bottle so I did. They took it to check what the mixup was but never gave it back to me. Either way, I'm really not sure what I can do to negate the charge for the mistakes. That sounds extremely fishy to me that they took the proof away from you and kept it. Oh well. The important thing is that Truman is getting better. I just get so angry when it appears that somebody is getting so blatantly screwed over. You have proof. In the video where he's explaining the dosage he specifically says .5 ml when reading the bottle (Truman Cape Parrot - Injury, Vet Stay, & Coming Home @ 2:12) I don't know if you'd be able to get any kind of reinbursement from them, but just in case you want to try you do still have proof. Guess it's a good thing you videotape everything! [quote="Michael":1bx4sfo8]I'm really not sure what I can do to negate the charge for the mistakes. [/quote:1bx4sfo8] Have you brought this up with them? If they made the mistake and they are willing to charge you to fix it then it only stands to reason you should charge them for your time? Get my point? I've actually done this before and it was due to a banking error which they wanted to then charge me for. I asked to speak to the bank manager who explained that even though the bank made the mistake of putting extra money into my account they needed to charge me for the a loan!. I told him I completely understand his position and would like to forward them my invoice for my time to notify them and personally coming in to the branch to fix the problem, pointed out my hourly rate. He asked for a minute then came back and told me not to worry about their mistake and all was good again. You really should bring up the charges next time you see them. I assume there is a follow up appt. Perfect time for them to take responsibility. I think it's good not to be so strict on the diet until he not only regains his strength and weight back but also he feels better. He went through some serious mental and physical stress there. TLC and some treats are bonus for the poor little guy right now. I would be so pissed at the vet. I work for a doc's office as his surgery coordinator and while we and docs can make mistakes, this one could have killed him. There's mistakes and there's life threatening mistakes. Any time I'm possibly dealing with giving info that may harm a pt, boy do I double check everything. Not the time to space or be in a hurry! Ginger! You are lucky you live in AZ! By your list of birds you seem to be a huge bird lover and obviously care about their welfare. Have you heard of the organization "Broken Wing" there? 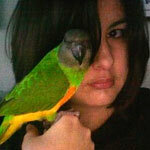 It's a rescue that takes abused birds and places them into sanctuaries. If you use facebook, they have a page there if you're interested. Amazing stories. They were just here in N. CA to take some cockatoos from Mickaboo (a bird rescue in Sacramento) which is overloaded. The story in pictures is touching if you are into it. There is also a store there that would be a bird person's heaven imo: My Best Friend Pet Supply in Phoenix. I wish I lived there just to have such great resources. I live in the San Francisco Bay Area and it's very hard to find places with decent bird supplies/toys and avian vet care. I also don't agree with the fact that they charged you for a procedure and medication to fix their mistakes. I know this is an old post but I wanted to comment for future people searching for medication dosing questions to read. I had a similar incident happen with my Quaker parrot and Metacam. It was from the local emergency animal hospital, not my regular certified avian vet. The hospital is usually great in emergencies, and though they don't have avian, reptile, etc. 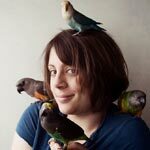 specialists on staff, they do treat all exotics and have certain vets who have higher educations in avian medicine, reptile medicine, etc. They also saved the life of my 13 year old pug who was in kidney failure from a change of food to Blue Buffalo while being treated for a urinary tract infection (long story, DON'T FEED BLUE BUFFALO!). 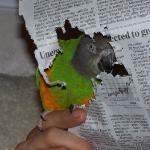 Lita, my Quaker parrot, was only 15 weeks old at the time and while on the shower curtain rod waiting for me to finish taking my shower so he could come in (yes, Lita is a male, the breeder lied about the DNA testing to me). I had thrown a wet washcloth over the rod and had forgotten, Lita was standing on it, it slipped off the rod and Lita went with it. Unfortunately it must have fallen on top of him and he couldn't fly out from under it and I heard a horribly loud "thump" and then my baby making a grumbling sound followed by him screaming for me. Long story short, it was Sunday and in less than 20 minutes after it happened we were in the emergency room at the animal hospital. Basically he was very lucky and only had a bruised and sprained left wing, a chipped beak, and a concussion. 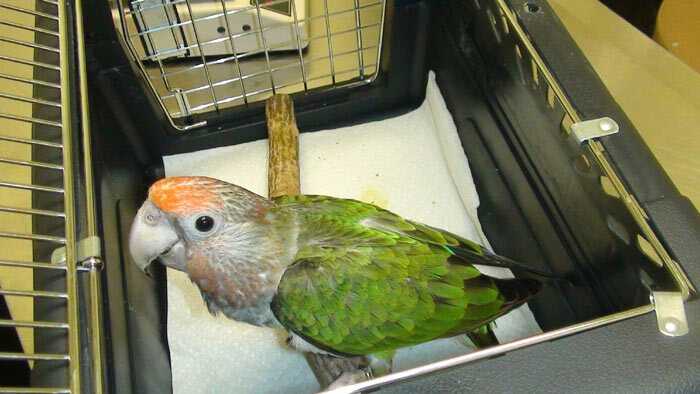 He was given an antibiotic for any infection in his beak and Metacam for pain and inflammation. 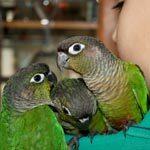 I had given Metacam to my green cheek conure for a fledging accident and also to one of my English budgies before for a toe that had bitten off by it's mother, so I had an idea on dosing. 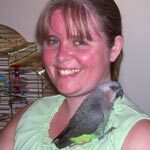 Of course the baby English budgie weighed hardly anything so I didn't go by that, but my baby green cheek weighed around 75g at the time, and Lita the baby Quaker weighed 135g at the time. I gave the green cheek 0.05cc to the green cheek, and was told to give 0.75cc to my Quaker. This was written not only on the bottle, but also on his discharge instructions. When I got home and calmed myself down a bit (I saw Lita playing on his birdy gym immediately after getting home so I felt much better) I started thinking about the dosage difference. Yes Lita weighed 60g more than my green cheek, but if you do the math (I have a bachelor's in pre-med and most of my master's in physician assistant studies) it's way off. So I popped online and sure enough the amount of Metacam for a Quaker between 120g to 170g is 0.10cc or close to it, not even close to the recommended 0.75g. I figured that they meant 0.075g (close to 0.10g) and made a mistake, but that's a huge mistake... They had dosed Lita with the Metacam at the hospital before we left, so after I realized the mistake I went upstairs to check on Lita, who had wanted to go in his cage and sleep after playing a bit. I had made a hospital cage for him in his carrier with towels on the bottom and a very low perch right over the towels, and had helped him onto the perch. He had climbed right up onto the perch, I closed the carrier, and put a towel over it so he could rest. I had put him in a quiet room upstairs away from the sounds of the other birds so he'd be less encouraged to want to play. When I went back up to check on him after discovering the dosage mistake, I discovered Lita laying on his belly on the towels, eyes closed, feet sticking out, wing drooping. I screamed out loud as I was sure he was dead...as soon as I screamed he jumped as I had scared him...thank God. He was very woozy and unstable, and his eyes kept closing. I immediately called the vet, told them their dosing error, AND THEY INSISTED THAT THEY WERE CORRECT AND THAT I WAS WRONG!!! I asked them to please look it up in their medical texts or just simply Google it, which they finally did after some arguing... Long story short Lita was fine in the end, but basically drugged for the next 2 days. All subsequent blood work has been normal, so no kidney or liver damage. I DID NOT PAY FOR THE FOLLOW-UP CARE OR ANY OF THE BLOOD WORK, AS THEY IMMEDIATELY INSISTED THAT EVERYTHING FROM THIS POINT FORWARD TO TREAT LITA'S INJURY WAS ON THEM! I had made a comment to them that IF IT HAD BEEN A NARCOTIC LITA WOULD HAVE DIED, WHICH THEY AGREED WITH. THAT MUCH MORE MORPHINE OR DEMEROL WOULD HAVE STOPPED HIS BREATHING! So yes mistakes happen, but I think it's all in how they handle it after the mistake occurs. BOTTOM LINE: Please, whenever your pet is given any prescription medication by a vet, please double and triple check the dosage with the nurse, the vet tech, the vet, with everyone BEFORE you give it to them!